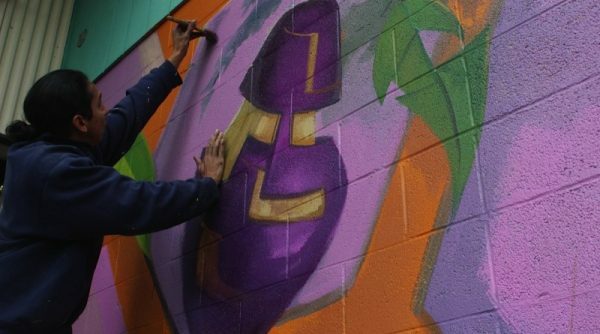 KEZI | A new mural is breathing color and diversity in downtown Eugene as part of the 20X21 EUG Mural Project. This is the 4th mural in the project with the goal of 20 completed murals by 2021, which is the year Eugene hosts the IAAF World Championship. KVAL | This isn't the largest mural Hua Tunan has ever painted. "I try another one in Dubai," the mural artist from southeast China said. "It was big; different size." The Eugene Review | The fourth of 20 murals that the city of Eugene's public art program is racing to complete by the time the International Association of Athletics Federations comes to town for its world championships in 2021 is freshly on the wall now in the Whiteaker neighborhood. The Register-Guard | For the past week, Chinese spray paint artist Hua Tunan has been transforming the solid red wall on the west side of Vistra Framing and Gallery in downtown Eugene into a brilliantly colored battle between a serpent-like black dragon and a Bengal tiger. Eugene Weekly | In a city that completes projects at a snail's pace, it's exciting and refreshing to see the 20X21 Eugene Mural Project take off so fast. 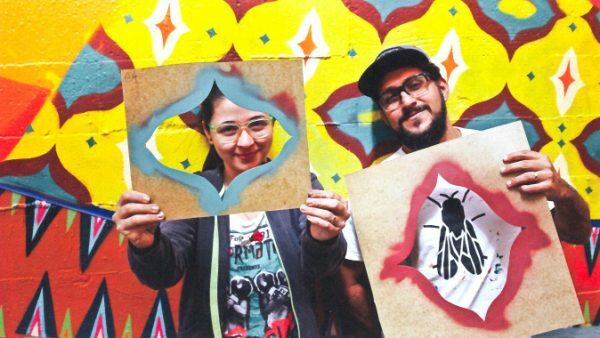 The goal: "20 world-class murals in our community by 2021." 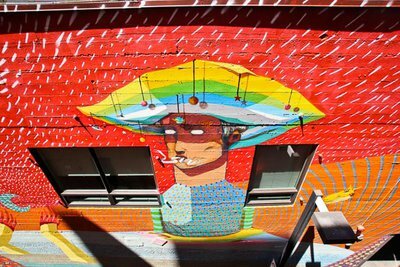 The mural effort kicked off in the spring and three murals have already been painted — a colorful, figurative dreamscape by Brazilian art collective Acidum Project in the alley between Cowfish and Killer Burger downtown. Eugene Review | Eugene's dream to beautify the city with 20 new world-class murals by 2021, when the International Association of Athletics Federations comes to town for its world championships — the project is called 20×21 EUG Mural Project — is coming one step closer to success this week. The Register-Guard | If you go downtown to the back side of the McDonald Theatre — the front side is at 1010 Willamette St. — you can see Stanton's latest example, high up on a previously blank wall, which he just completed a week or so ago during the Willamette Valley's latest record-breaking heat wave. The Register-Guard | Artist Beau Stanton paints a mural in downtown Eugene as part of the city's 20x21 art initiative. The Register-Guard | About 70 bicyclists, some on tandems and others towing children in trailers, converged on Eugene for the third annual mural bike tour on Saturday.